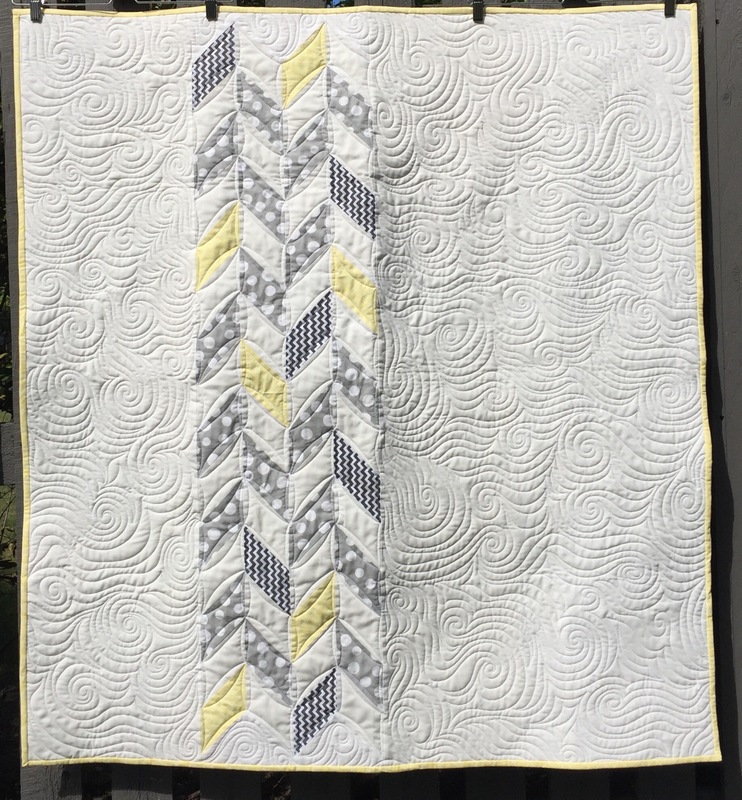 Here is the finished bab quilt that I gave to my friend at her shower last weekend. 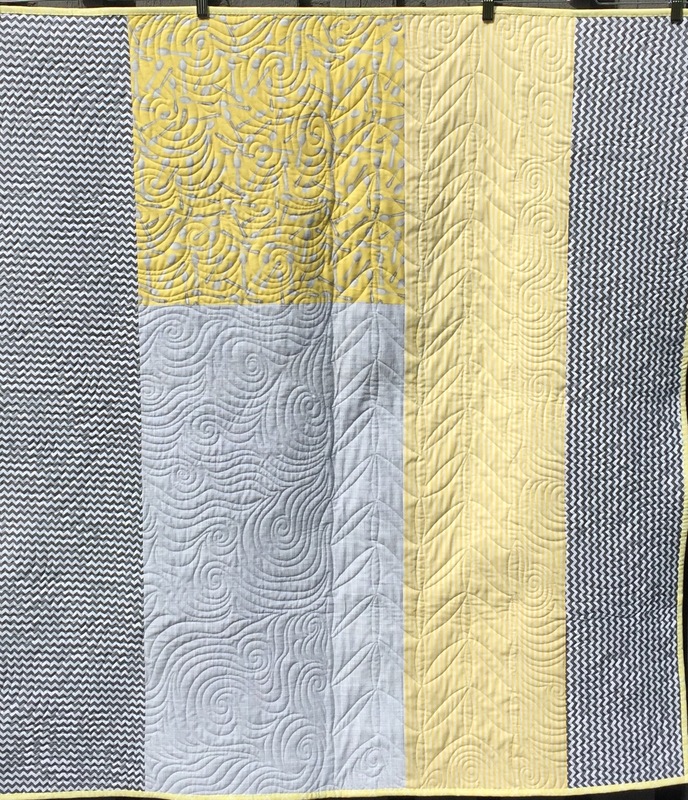 I quilted swirls on the sides and continuous curve in the parallelograms. I managed to e p enough matching fabrics for a pieced back. It’s so nice when you can make the whole thing from stash! 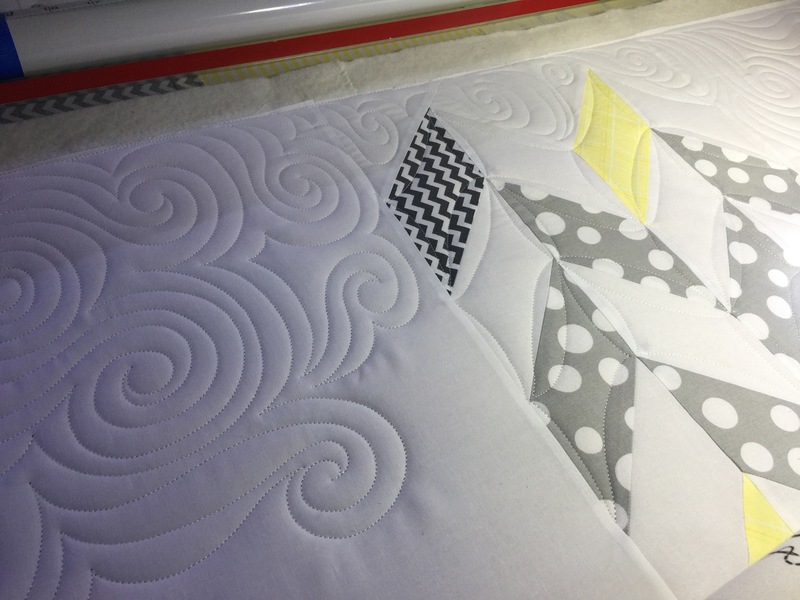 This entry was posted in Baby Quilts, Finishes, Free Motion Quilting, Fresh Modern Quilts, Long Arm Quilting, Longarm Quilting, Uncategorized. Bookmark the permalink. What a beautiful finish, Katy! 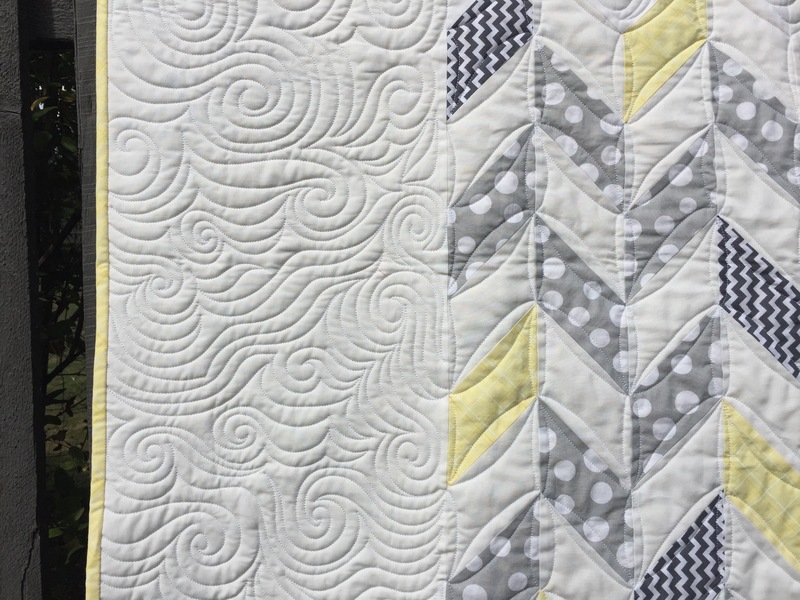 Like you, I love it when I am able to make a complete quilt from stash…I always have enough to piece a top, but when I find enough for the backing as well, that’s even better! I love it! 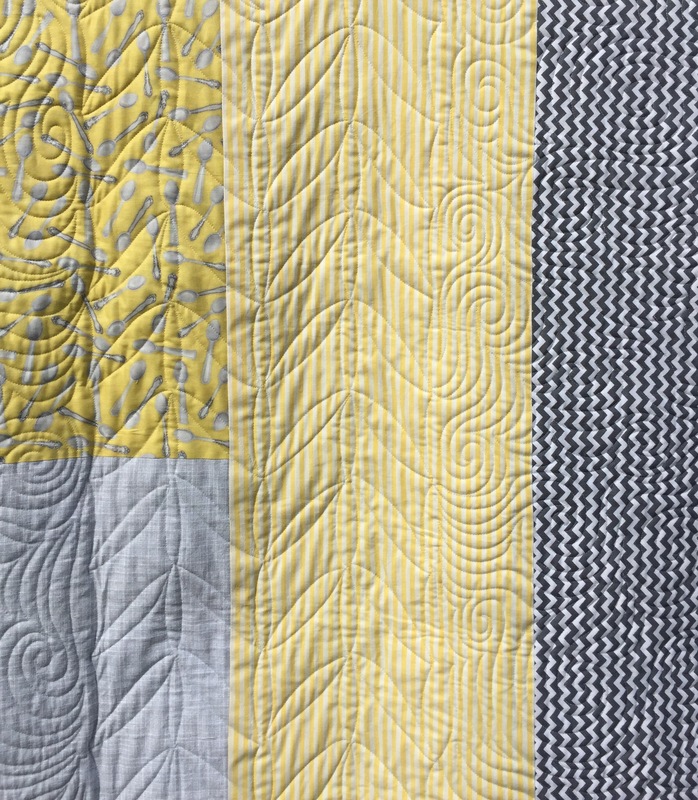 The colors are calming but not dull, and the quilting is wonderful! Well done! 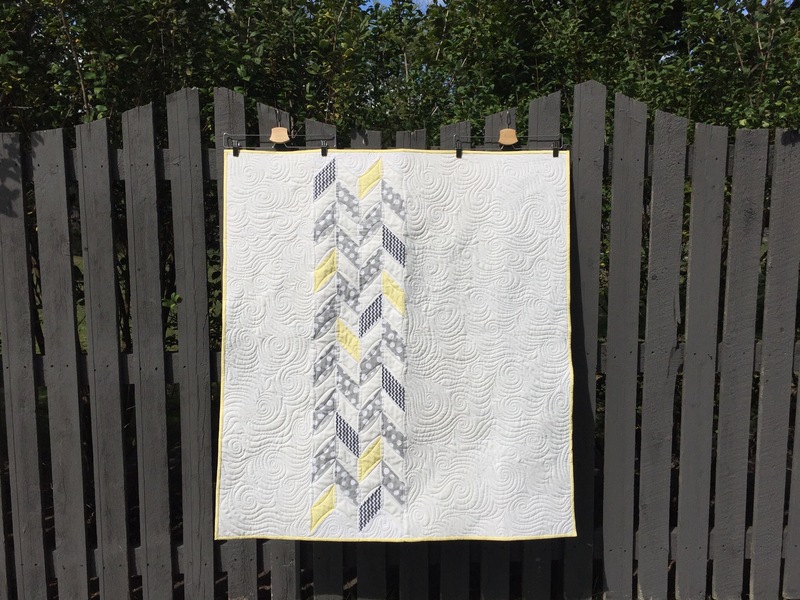 Your quilting really makes this quilt beautiful!!!! Love all that texture – and so will the new bundle of joy. What a stunning little quilt! I bet the mother-to-be was tickled.